We’re back with another episode in which we are discussing the best RV water filters. We look at different types and configurations. We also take a good look at the Micron ratings and what it means for the RV owner. Needless to say, water isn’t water anymore in our day and age. With the tons and megatons of sewer and poisoned industrial waste water, channeled back into the streams and rivers, there were quite a number of serious cases in New Zealand alone, where people got severely ill.
Few and far between are the streams and fountains that still produce drinkable water. For the RVer, it is imperative to have a VERY good filtration system because you do not know where your next tank of water is coming from. Falling ill while on a road trip or boon docking is a bad situation to find yourself in. 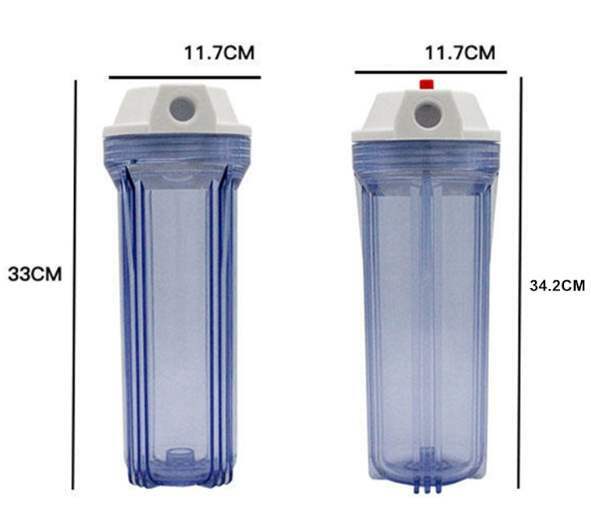 For the amazing prices of a VERY good water filter system, is it worth taking the chance? Due to the size of RO systems, I do not recommend it for use in an RV, motorhome, camper-van, travel trailer or caravan. For that reason, I will only discuss the compact filtration system. 1. You have a few different choices when it comes to setting up your filtration system. It can be done as a portable system where the filters are hooked up inline between the tap and the tank filler hose with ordinary Gardena type clip fittings. 2. Another way is to mount the filter housings inside a locker or somewhere suitable with a permanent connection to the tank. 3. A third way is to have the fixed water connection piped through the filters with a multi directional tap installed after the filters. That way you can hook up to a supply and decide whether you want to fill the tank or have the water go directly into the RV bypassing the tank. 4. One more way is to have the filter system installed just before the sink mixer. Only the sink mixer water is filtered which means you will save on filters in the long run. I do not recommend this configuration because the water goes unfiltered into the water tank. That means your shower and any other outlets are unfiltered. So many chemicals and poisons are absorbed through the skin that you have to decide if it is worth the saving on filters. Fluoride is a killer and added to almost all council water supplies. Any debris that gets into the tank, will stay. The unfiltered water goes through the pump. Some chemicals attack pump housings and you may find a gooey deposit forming on the pump diaphragm. This can easily cause blockages when using a booster saver shower head. More on this special water saver shower head here. You may also find unpleasant odors coming from the unfiltered water as bacteria increase. 5. Another good option is to have all the water enter the holding tank through one 10 micron filter and have another 0.2 micron filter at the sink tap for drinking water. This will extend the life of the 0.2 micron filter considerably over ( 1.) above. The Jumbo is not as popular and filters are not as commonly available. It lasts much longer than the standard size though, because of the greater contact/filtration surface. Filters come in a wide variety of flavors, sizes and density. 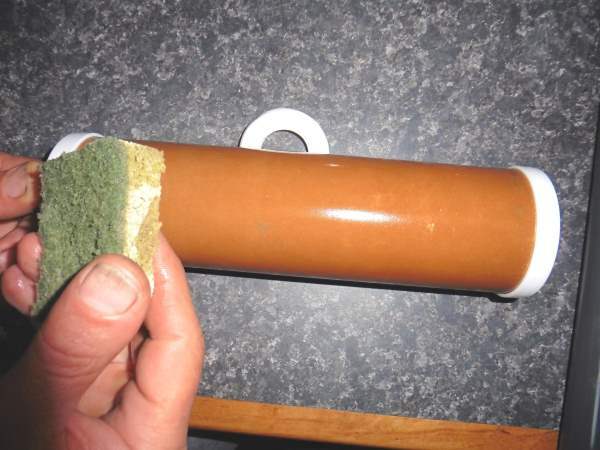 Some of the most common ones are Carbon filters, Sediment filters and Ceramic filters. Carbon filters are mainly for the removal of chemicals like chlorine, sediment, odors (including many volatile organic compounds) and tastes. It is one of natures most amazing filter systems. One gram of active carbon can have a surface area of 500m2. 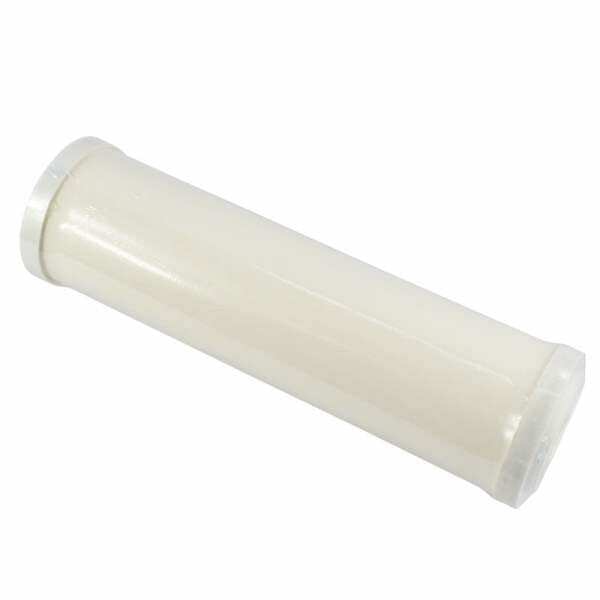 Ceramic filters are normally silver lined or impregnated. Silver kills bacteria and pathogens due to its natural electric charge. The ceramic part filters out most particles due it its minute pores and pathways. 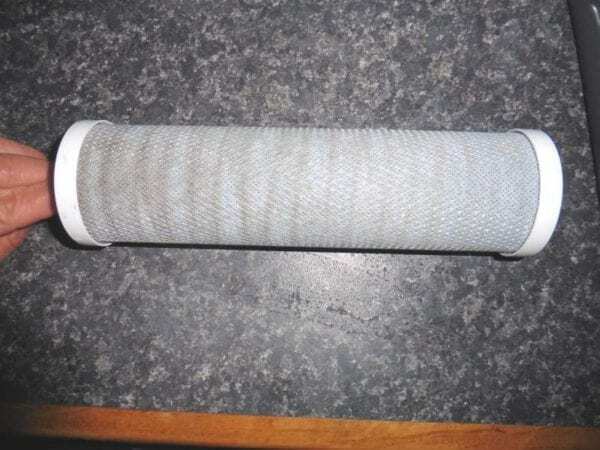 Sediment filters can be made from various substances like Polypropylene or Cotton. It is good at trapping iron, rust and other heavy metals. Micron ratings vary greatly on these filters. 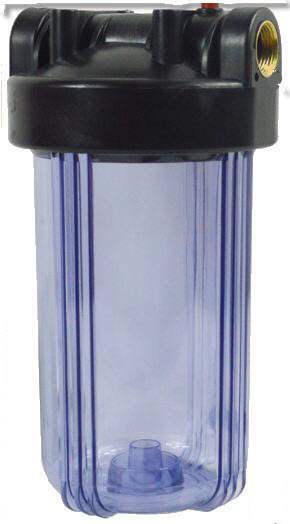 The micron absolute rating is an indication of the largest particle (round glass particle) that can move through the filter. Thus, a 1 Micron filter should theoretically not let any particle larger than 1 micron through. 1 Micron is equivalent to 0.001 mm. 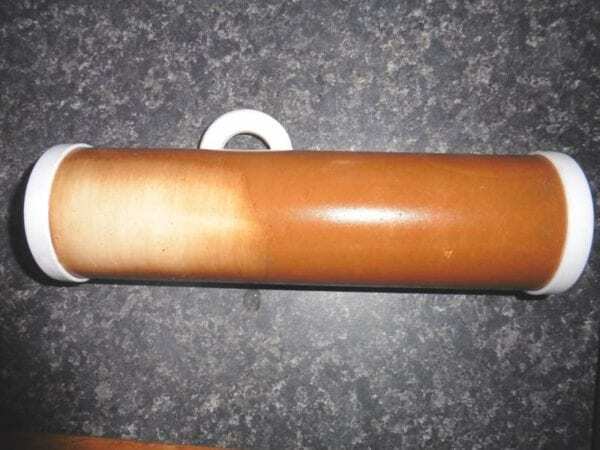 High pressure can greatly influence the performance of the filter. The ratings are done under low pressure. I personally prefer a ceramic filter with a rating of 0.5 Micron or less. The finest rating I have seen and used to date is 0.2 Micron. That equals 0.0002 mm. I find a 1 to 5 Micron rating for the sediment filter good to trap most garbage before letting the water through to the Carbon and Ceramic filters. To keep it fairly simple, nominal rating is an average where the filter is tested to see if it can filter out a certain percentage of contaminants. Thus you may get bigger particles come through although most will be stopped. There is also the mean filter rating which is beyond the scope of the common RV application for drinkable water. The best rating to work with in my opinion is the absolute rating. There are different ways of configuring the filter system. The sediment filters are fairly cheap. These filters are the entry point for the water where most of the bigger particles get trapped. Next in line is usually the carbon filter followed by a ceramic filter to finish the process. 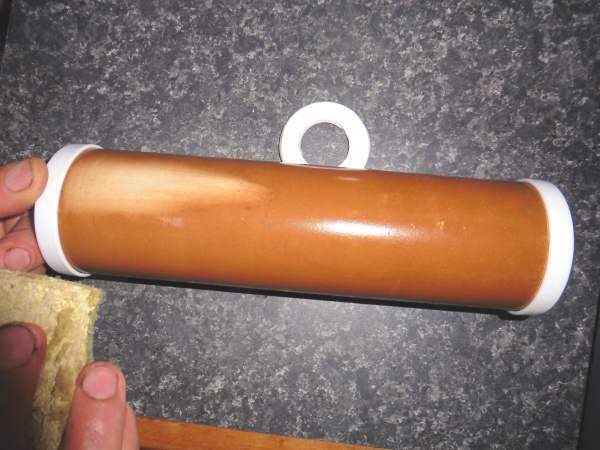 In certain cases, the ceramic filter can be swapped with the carbon filter. The ceramic filter will clog much quicker that way but the carbon filter will last much longer. 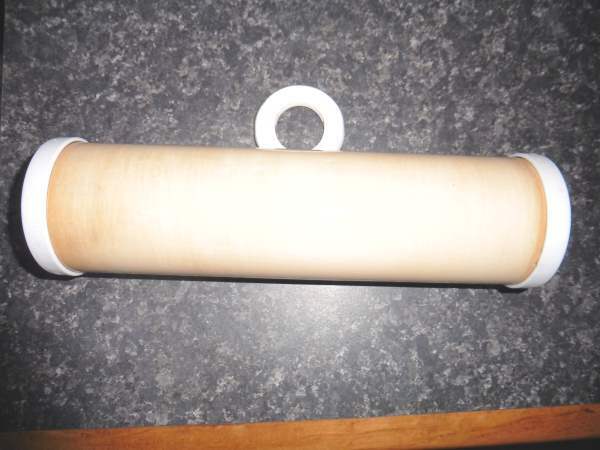 The method in the madness is that the ceramic filter can be scrubbed and re-used a few times. I guess it depends on personal preference. This question is one that needs to be answered by every RVer individually. The reason being that no 2 RVers have the exact same requirements nor the same water supplies. If you do regular boon-docking and tens to pump water from rivers and streams, you will need more filters than the 3 piece system discussed above. You will likely need to start with a 10 to 50 micron filter and take it down to 5 or less micron rating for a second stage before using the carbon and ceramic filters. When your main supply is mostly council water, you should get rid of mainly fluoride, chlorine, some heavy metals, odors and tastes. Thus starting with a 10 to 5 micron should be ample for the first filter. One can then do a Carbon filter and then a 0.1 micron Ceramic filter. That should take care of all the ugly stuff that cause harm. It is difficult to determine when the carbon filter is at end of life. For permanent living with 2 people on board, I suggest a new carbon filter every 8 to 12 months or when the water gets a chlorine taste. 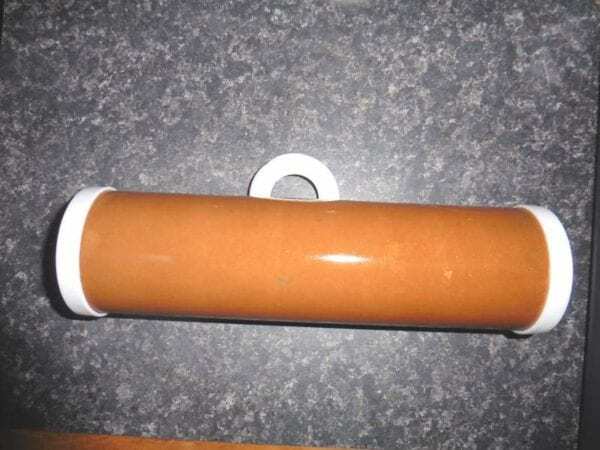 If you have a polypropylene sediment filter as the first one, it is easy to see the discoloration and when it looks bad, replace it. It is only a few dollars unlike the other 2 cartridges. Happy RVing and see you on the next post!